Radar Online redesigned | Boyle Software, Inc.
We are happy to report the successful launch of the newly redesigned Radar Online website for our client AMI. We reimagined every aspect of the RADAR experience in order to better tell stories for our readers and showcase our premium advertisers. Our primary goal was to provide an environment that best represented RADAR’s rich storytelling through improvements in typography, video, photos and artwork throughout the site delivering a visually appealing, clean, cohesive and gratifying reader experience, no matter where they are experiencing the site. 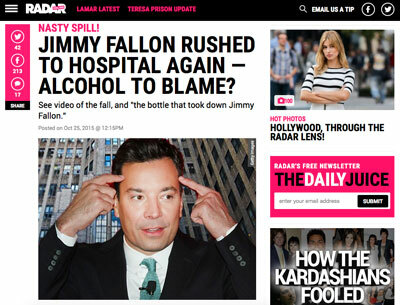 Radar Online is one of several AMI web properties that is hosted and served via our HeartyHosting platform. Congratulations to your successful launch of the newly redesigned Radar Online website for your AMI client. We are glad to hear more success stories from you.